Let’s face it, most people are sheep. It is much easier to follow than to lead, and on Twitter it is no different. A full 80 percent of Twitter accounts have fewer than 10 followers, according to an analysis of seven million Twitter accounts provided to TechCrunch by Web security firm Purewire (which operates TweetGrade). What’s more, 30 percent have zero followers. Does this mean nobody is using Twitter? Or that they are using it more as a one-way information consumption service? After getting rid of the dead accounts and spam accounts (24 percent of accounts follow nobody), what do we have left? All the activity on Twitter is coming from the remaining people who stick around—that 20 percent with more than ten followers and the 32 percent following more than ten people. 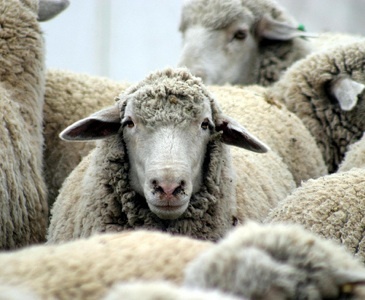 If you look at active accounts—which Purewire defined as those with at least 10 followers, 10 followings, and 10 tweets—it shows that Twitter is still filled with sheep. Of those active accounts, 63.6 percent follow more people than they have followers (2.8 percent have the same number of followers as followings).